Almost perfect. Sometimes my automotive enthusiasm gets the best of me. 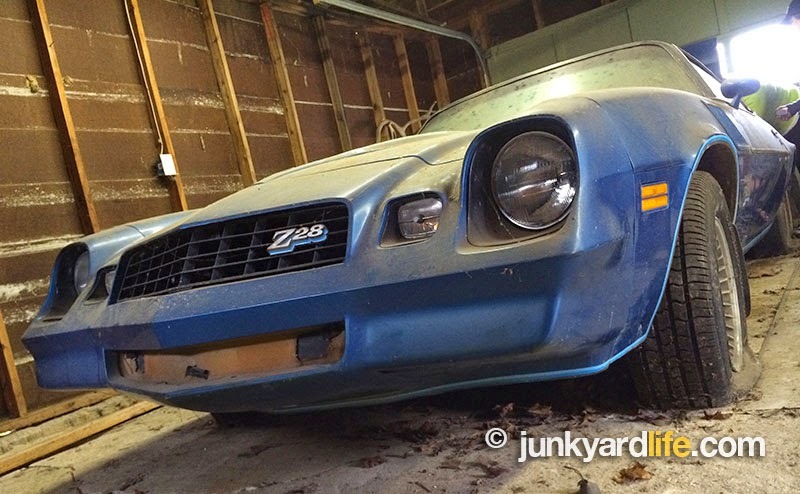 Finding this original-owner Z28 for sale and my hunger to finally own a drive-able Camaro sent me over the edge. Everything seemed right. The color, wheels, original condition, and the possibility that I could get this baby running in short order. 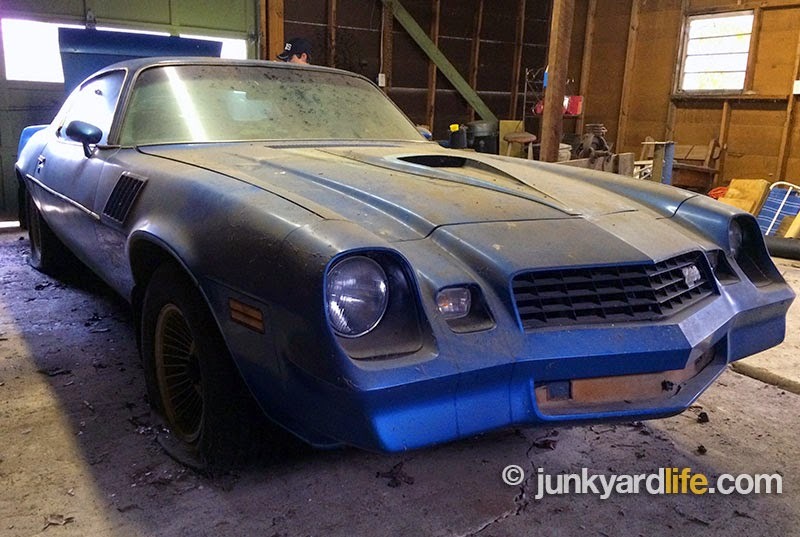 Only one thing that could stop me from owning this second generation Z28 – the price. 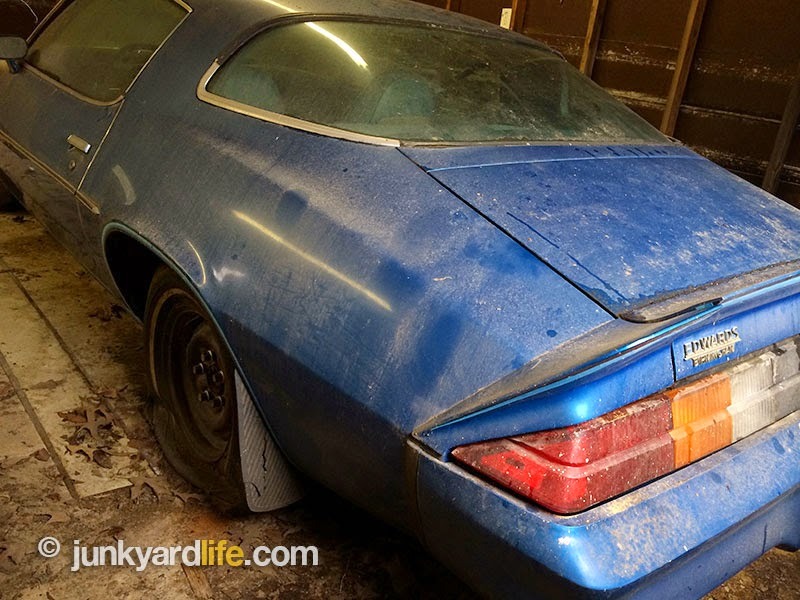 Found this: One-owner 1978 Camaro Z28 parked in a barn for 17 years. Does not run, needs some work. 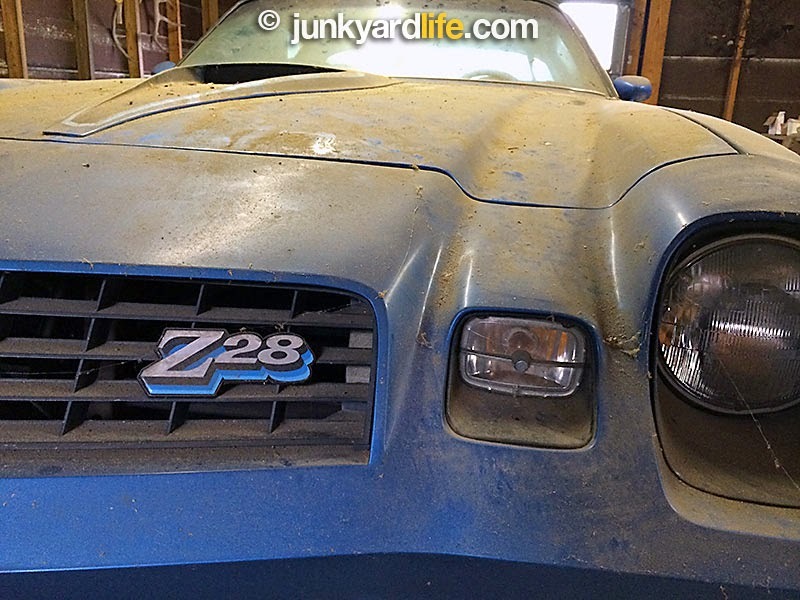 The owner, Ginger, mid-50-ish and well-dressed, led me to the barn that housed her Z28. Ginger bought the Camaro after she landed her first, full-time job in Birmingham, Alabama. A girlfriend, also a coworker of hers, owned a new, red Camaro. Ginger bought her Bright Blue Z28 with light blue cloth interior. A 350-V8 engine and automatic transmission spun the flashy, new for 1978, turbine wheels. Power windows, power locks, and A/C made this a comfy cruiser. Imagine that dynamic duo back in the day. New blue and red 1978 Camaro Z28s sitting next to each other in the company parking lot. 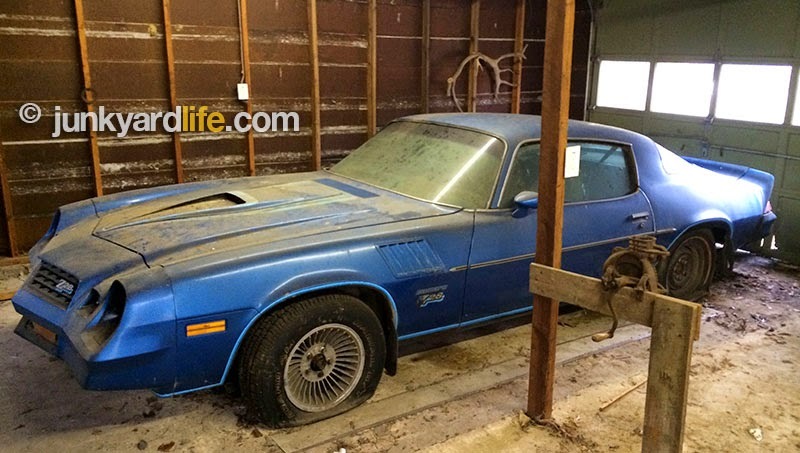 Barn find 1978 Camaro Z28 with standard blue cloth interior, power windows, locks and A/C. I liked what I saw. 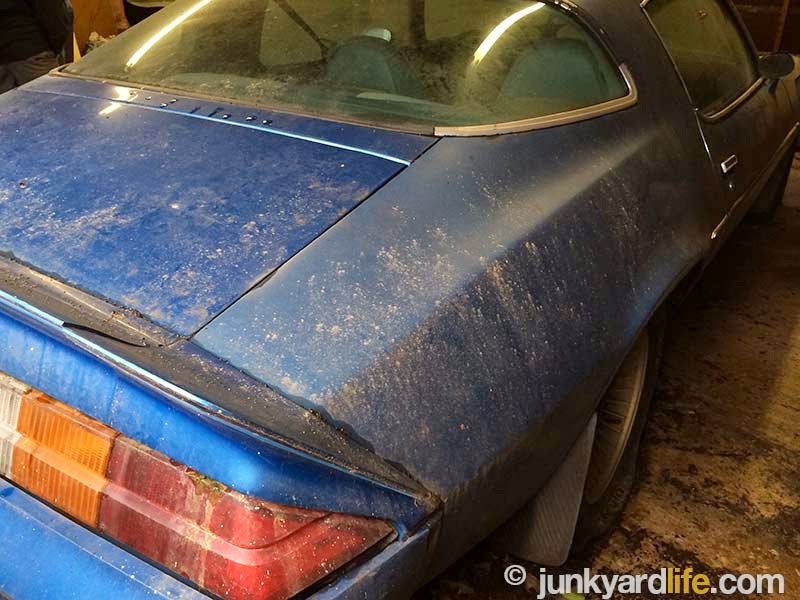 Beneath the dirt and grime was an unmolested Z28. 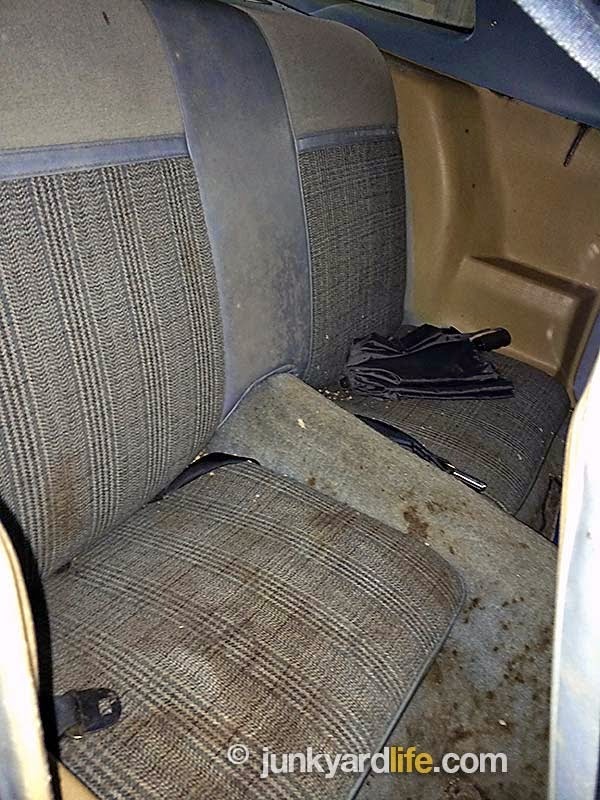 Interior complete and not ratty. 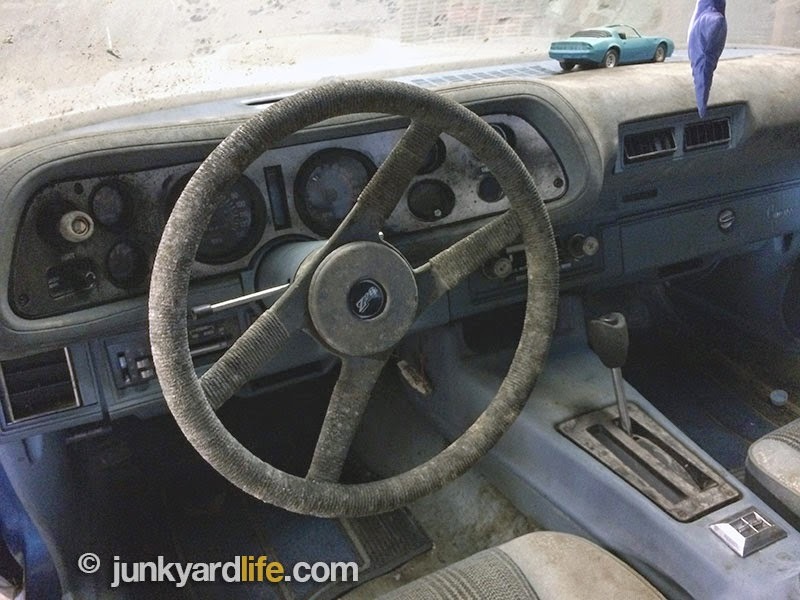 Sticky steering wheel, found on all 1970s GM models. 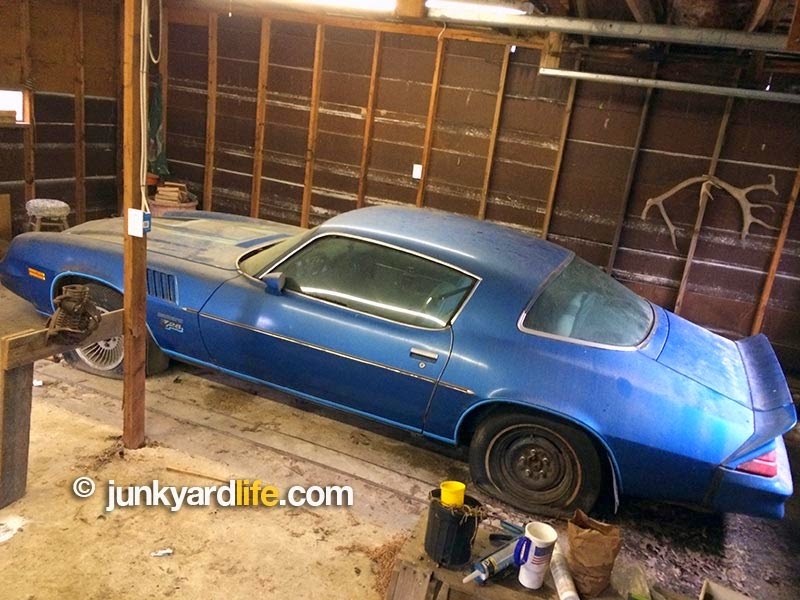 Straight body with original blue paint. Four, flat tires. Original, turbine wheels (15x7 YJ8 option), all accounted for. Unfortunately, one of the aluminum, turbine wheels, wearing the result of a blown tire, was located in the water-filled trunk. The swimming pool feature or trunk water, depends on how you look at it, was the result of a poorly patched hole in the barn’s roof and the Camaro’s predisposition to trunk water. More on fishing inside a Camaro later. 1978 Camaro Z28 shows off its 170-hp, 350-cubic inch V8. Red flag. Replacement 350 GM engine. 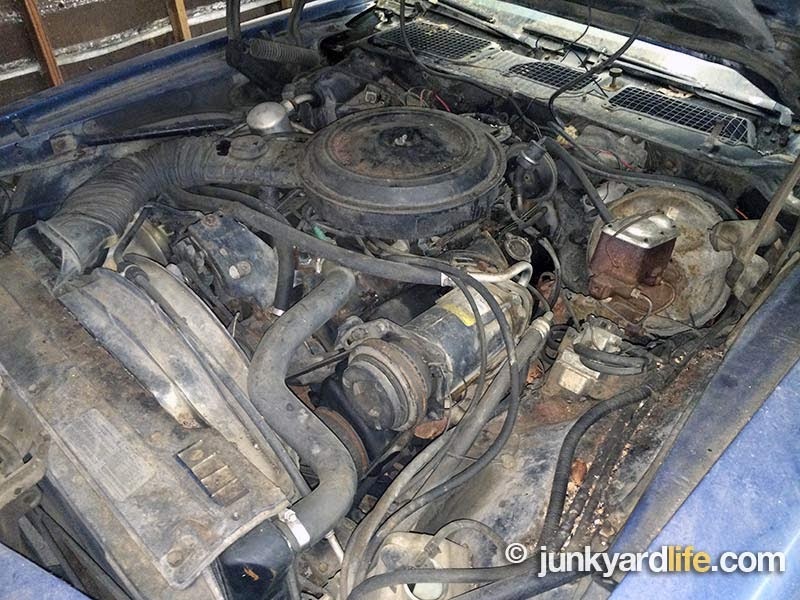 Why is the original engine not residing under the hood of this all-original Z28. What gives? 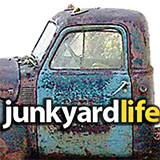 Ginger reluctantly told me that the original engine went kaput around 60,000 miles. Her dad worked out a deal to get a replacement installed in the mid-1980s. Everything else under the hood is in place, including all hoses, brackets, compressor, and QuadraJet carburetor. Two engines in 127,000 miles. 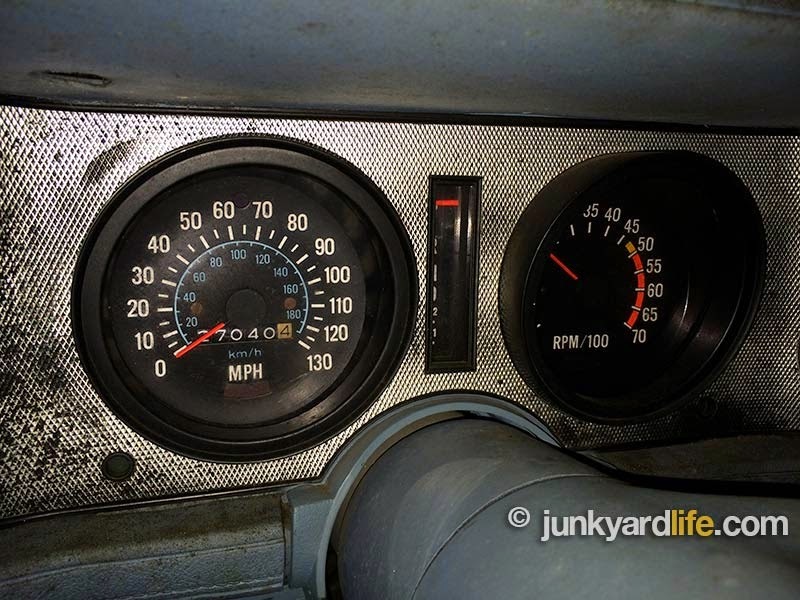 A quick odometer reading and a bit of math tell me that the replacement engine has operated just over 60,000 miles. Replacement GM engine almost looks original to the 1978 Camaro Z28. I liked the Camaro, just not as much as Ginger. 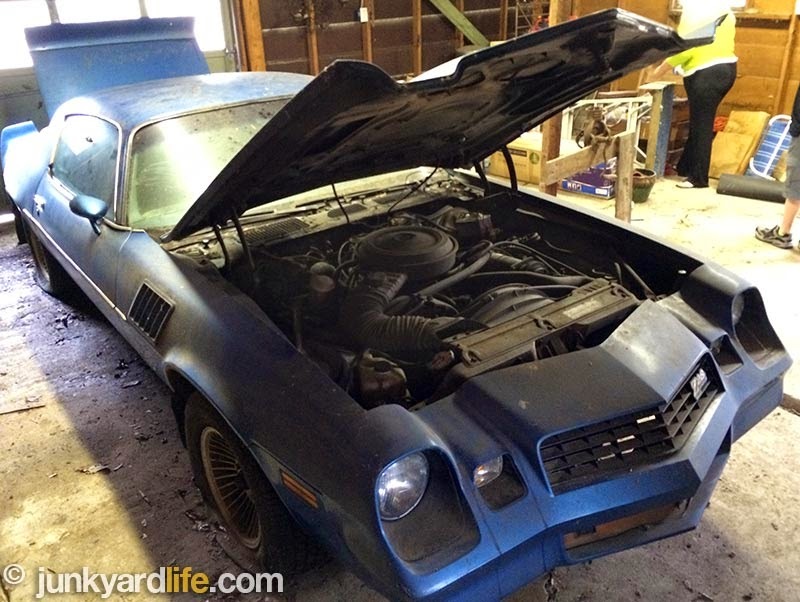 Her asking price for the 1978 Z28 was $8,300. I made my case but I knew it was falling on deaf ears. 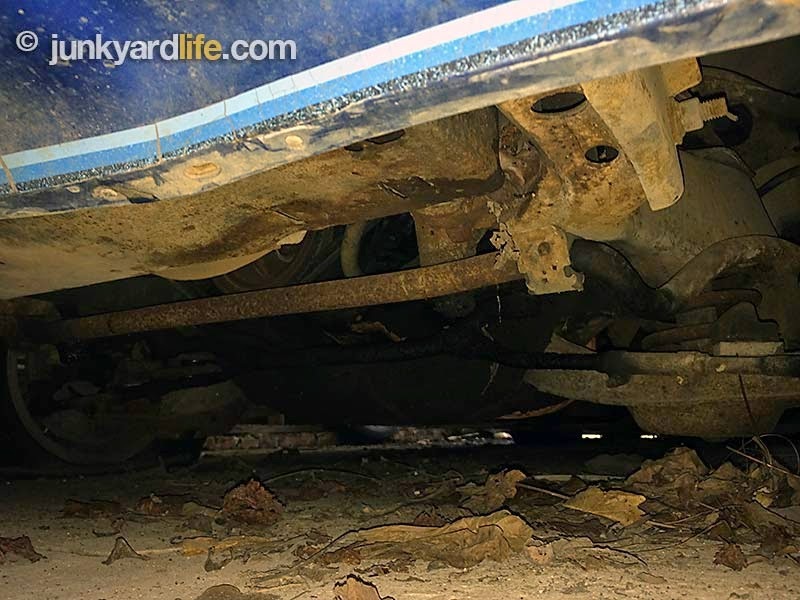 This was her car, her memories and worth every bit of $8,300 — to her. I couldn’t justify spending that much on a non-running car that needs a top-to-bottom refurbishing, just to make it roadworthy. I did make her an offer. She didn’t accept. It was too high for me and too low for her. We parted ways, unhappy but each better off. My desire to own an icon from the second generation Camaros did not lessen after I left this Z28. One week later I bought my new daily driver. A blue 1980 Camaro Z28. Stay tuned. The original Edwards Chevrolet emblem mounted on Z28’s rear spoiler. 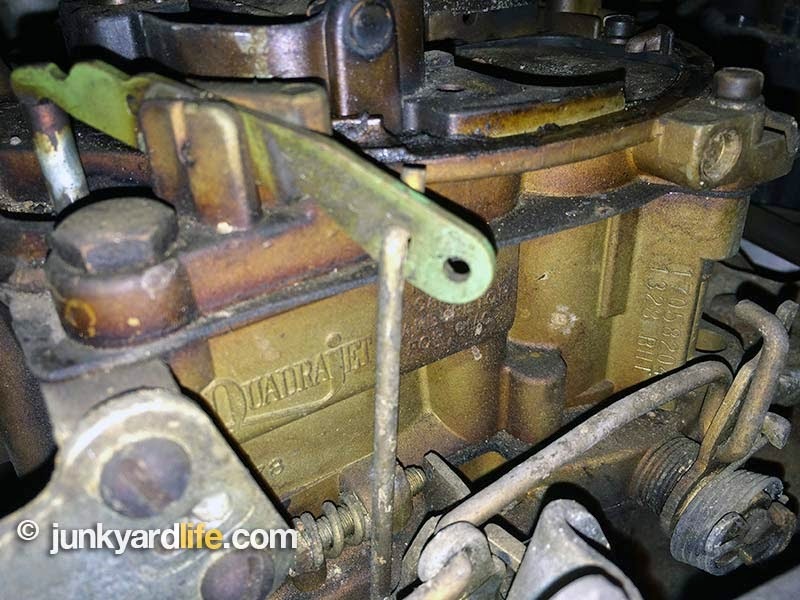 Original QuadraJet four barrel carburetor hasn’t mixed fuel and air on the Z28 in more than 17 years. 1978 was the first year of the urethane front and rear bumpers on Camaros. Big rack on wall for the hunters out there. Lower grill piece is missing but otherwise this 1978 Camaro is a complete time machine from the Jimmy Carter and disco era. 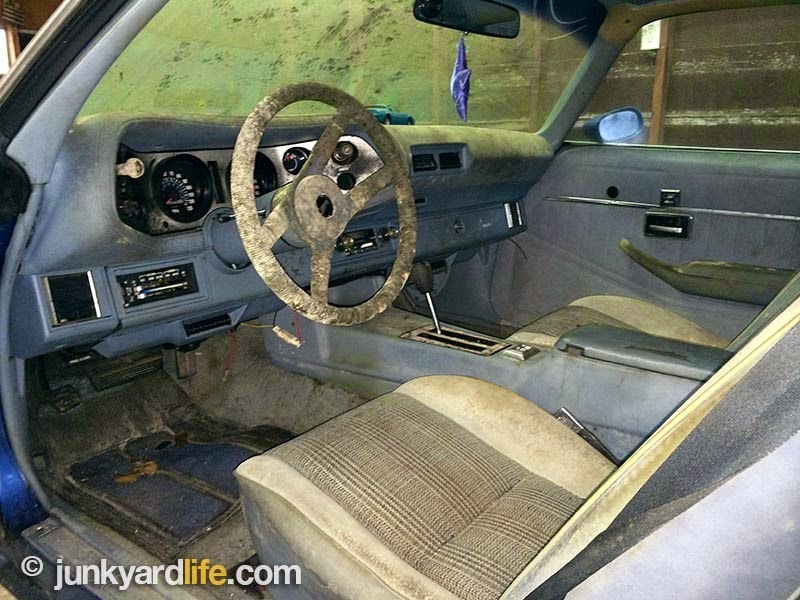 A rope-style wrapped steering wheel was exclusive to Z28 in 1978. Model car on dash was not. 1978 was first year for the gills on the Second Generation Camaro. 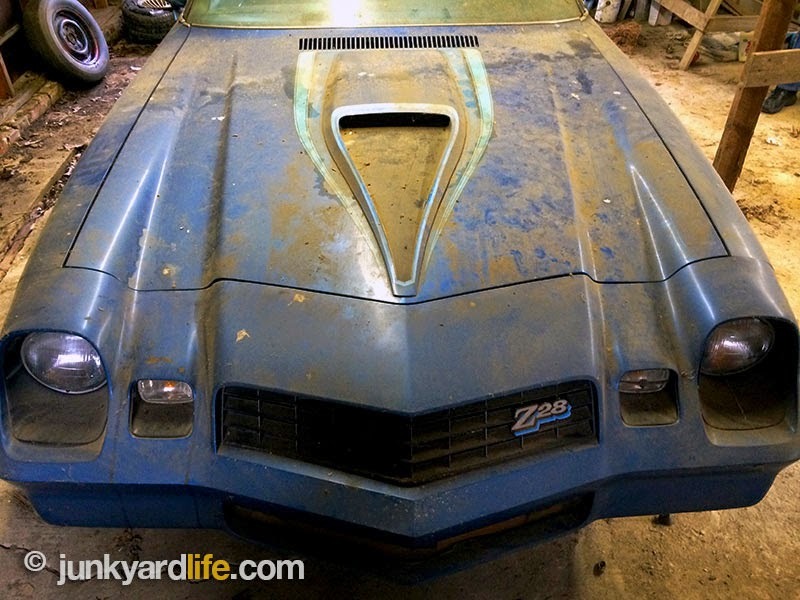 Style of Z28 fender for on all 1978-1979 models. The finned turbine wheels complement the fender vents. 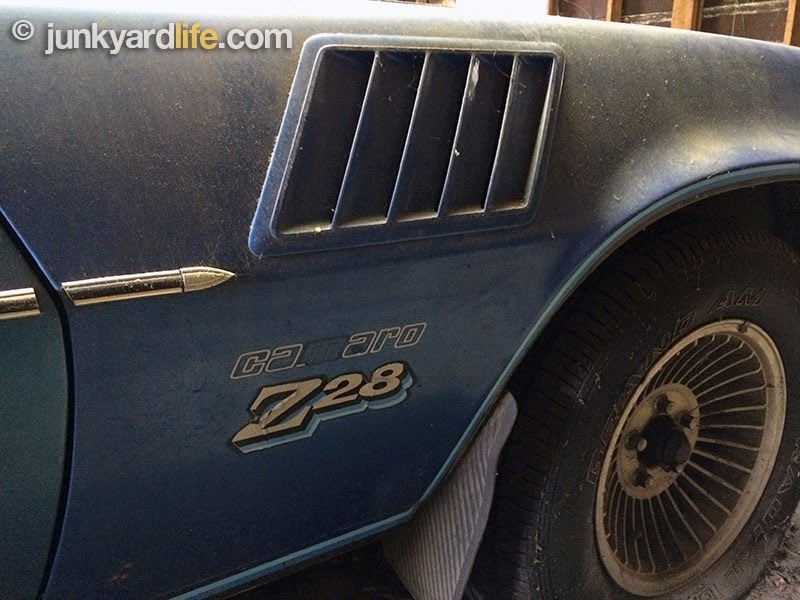 127,040 miles on this original, barn find Camaro Z28 from 1978. 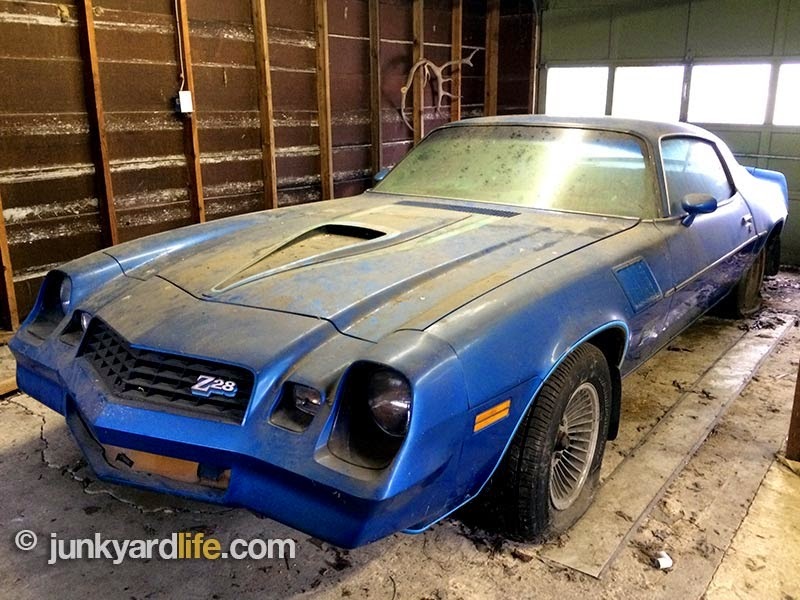 1978 Camaro Z28 MSRP was $5,603. 54,907 buyers signed the dotted line for a Z28 that year. Groovy Z28 emblem recall 1960s pop art vibe. Non-functional teardrop hoods scoop was all 1970s flash. Dash pad is not cracked. 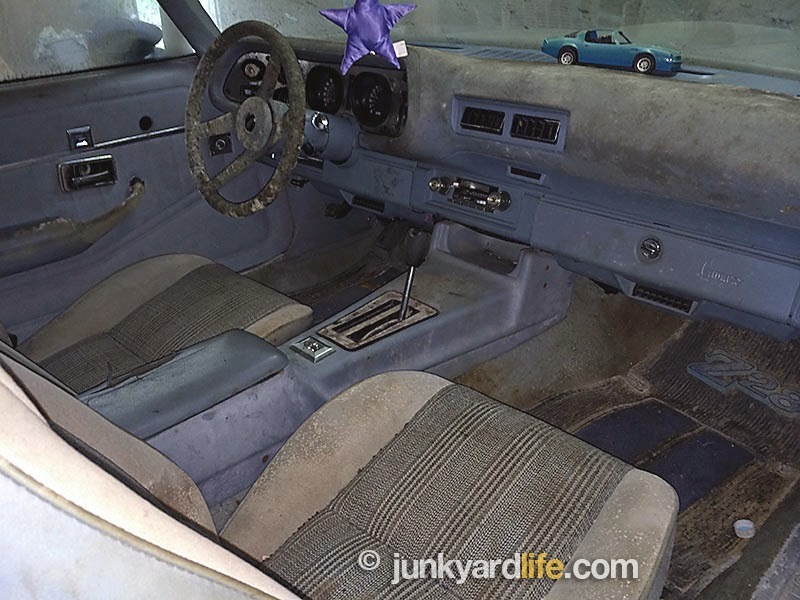 This may be the only 1978 Camaro with a surviving, albeit wavy, dash pad. Check out the lines. The ridge atop the quarter panel is distinctive to the Camaro. You won’t find that on a Trans Am. Tri-color tail lights were new for 1978 Camaro. Some funky business in the back seat. Not sure about the tan side panel. Bright Blue paint code 24 may be my favorite color on a Camaro. 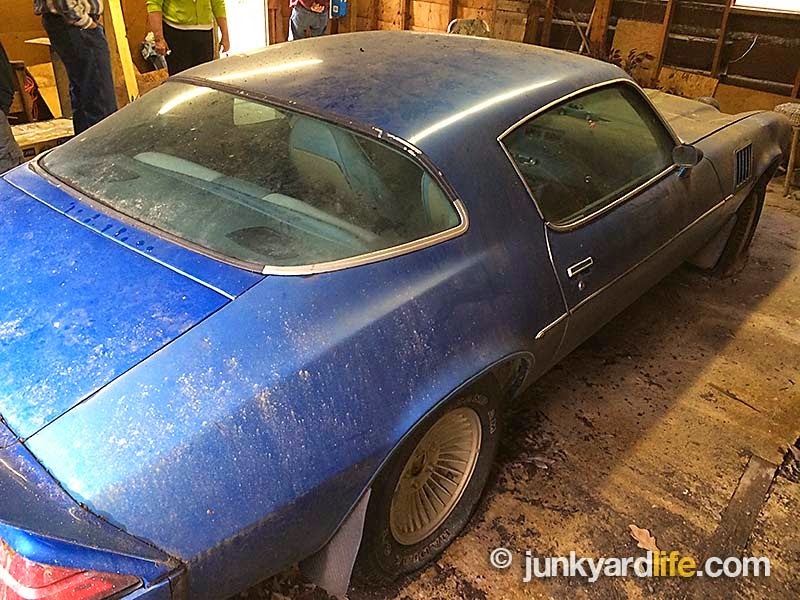 A damp barn may not be the best place to store a 1978 Camaro Z28. You’ve been warned.